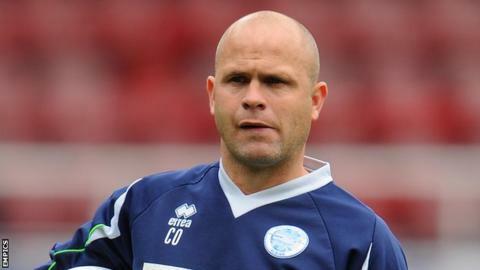 Brighton first-team coach Charlie Oatway says they must not be downhearted at their current form. The Seagulls have slipped from first to 10th in the Championship table after a run of five games without a win. He told BBC Sussex: "We started off so well but we weren't going to win the league within a month. "It's a case of sticking with your beliefs. We're playing the best football this club has ever seen - certainly in the years I've been here." He added: "The problem for us at the moment is consistency. "It's a long season and we aren't a million miles away. Nothing changes - you keep plugging away." This week, Albion manager Gus Poyet declared he was "bored" of talking about their lack of goals, which has seen the Seagulls score just once in their winless run. Oatway is confident the club will overcome their problems up front. "You get frustrated because you are missing opportunities and chances, especially when you are keeping clean sheets," he said. "You can't dwell on it for too long. Chances will come and they will go in. "When they come, hopefully we will still be doing the same things in defence." Meanwhile, Oatway has played down a row between goalkeeper Tomasz Kuszczak and forward Ashley Barnes following the midweek defeat at Leicester City. The Seagulls lost 1-0 to the league leaders on Tuesday, with Barnes missing a penalty. "They're fine," Oatway said. "You want some sort of feeling. It's passion. "Tomasz is a grown man who takes it in is stride and so is Barnesy. "I don't know what the cross words were about and I don't care. It's what happens in football teams."